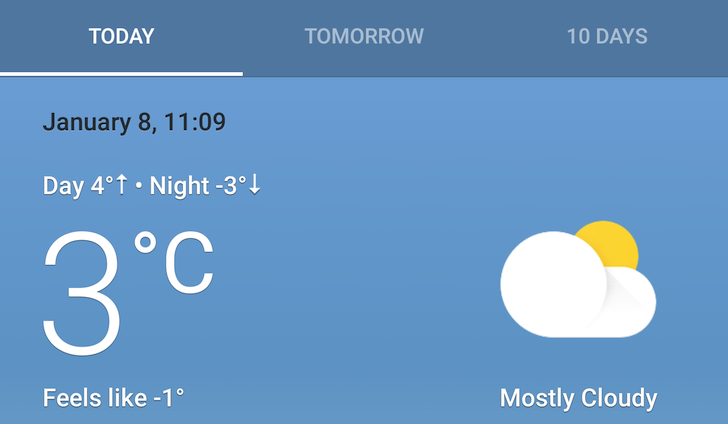 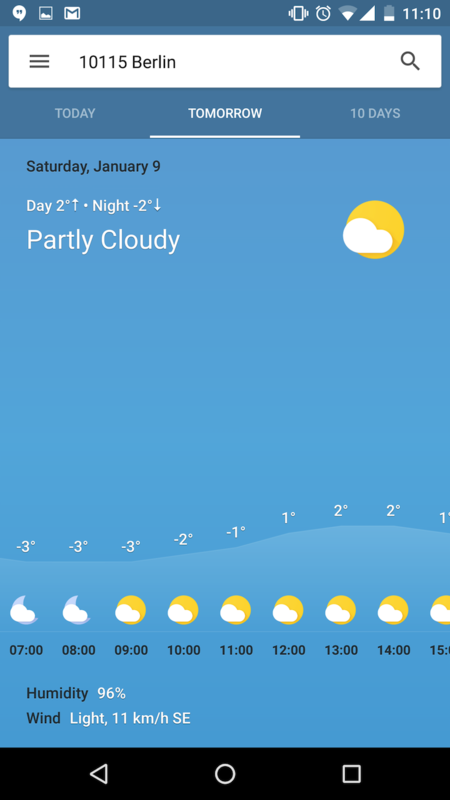 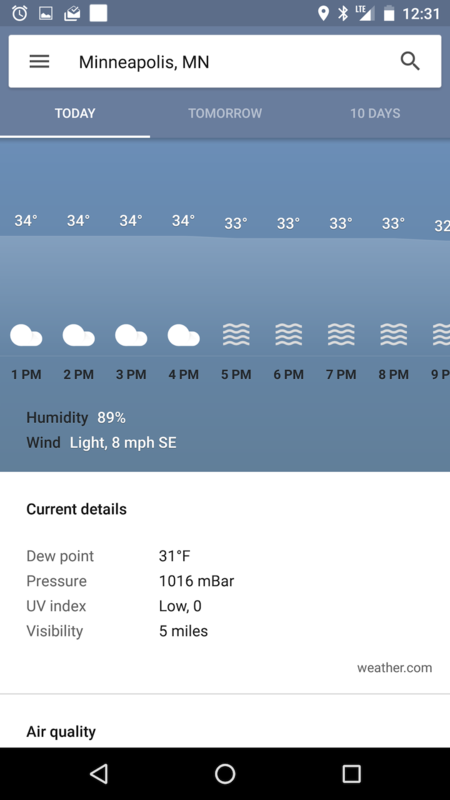 Google's weather card that shows up when you scroll through Google Now or search for the weather in a certain city is adequately functional. 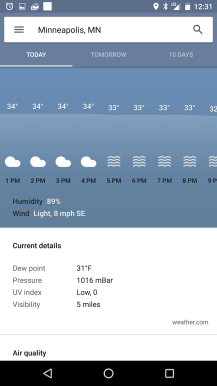 It's white with most text in grey, clickable days, an interactive timeline, and some minimalistic icons in grey, yellow, and blue. 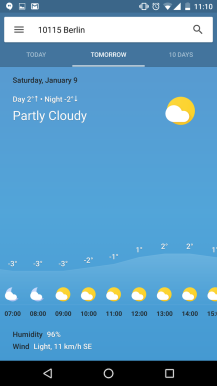 What you see above and below is definitely not that card. 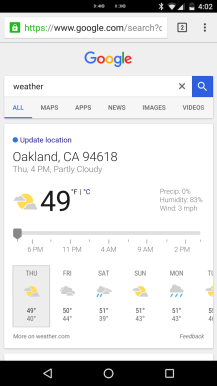 It seems to be a new design that Google is testing with plenty of modifications, both in looks and functionality. 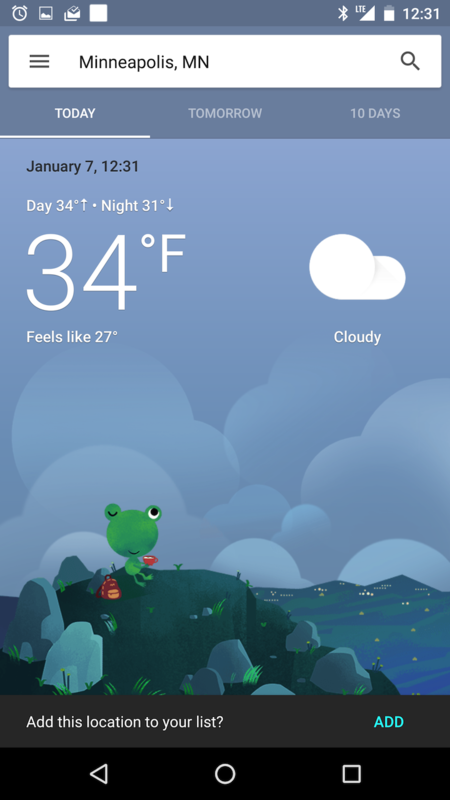 The new card now expands to fill the entire screen and somewhat transform into a full-fledged weather app. 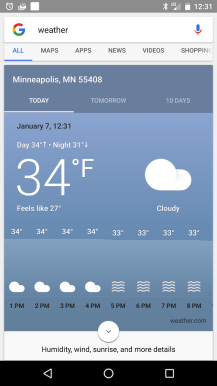 Three tabs let you switch between views for Today, Tomorrow, and the next 10Days. 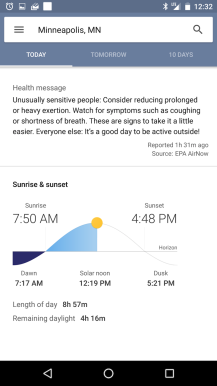 Unlike the old weather card, the new one seems to be color coded based on the time of day and the current conditions. 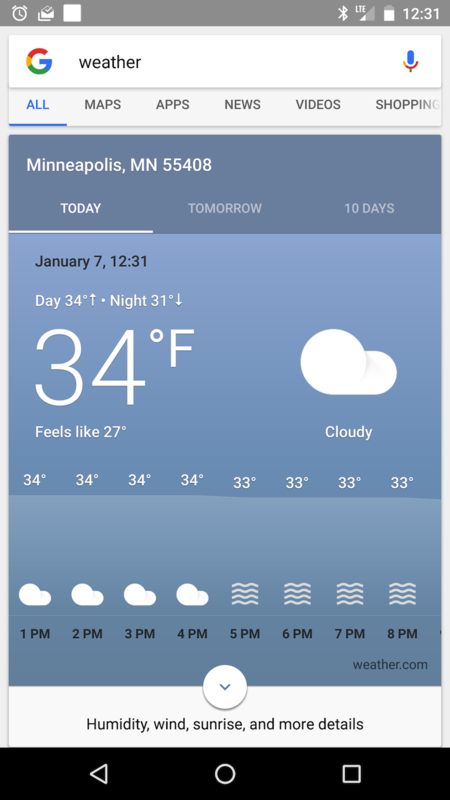 Be ready to see gradients like you've never seen on Android since the Gingerbread days. Left: Old weather card. 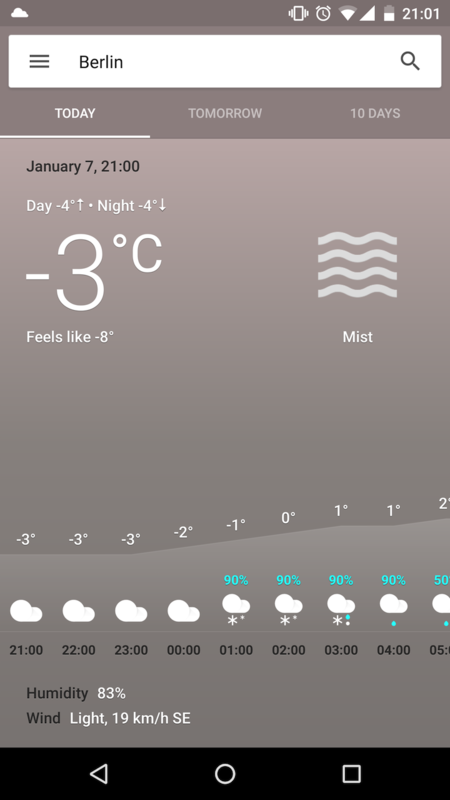 Middle & Right: New weather card. 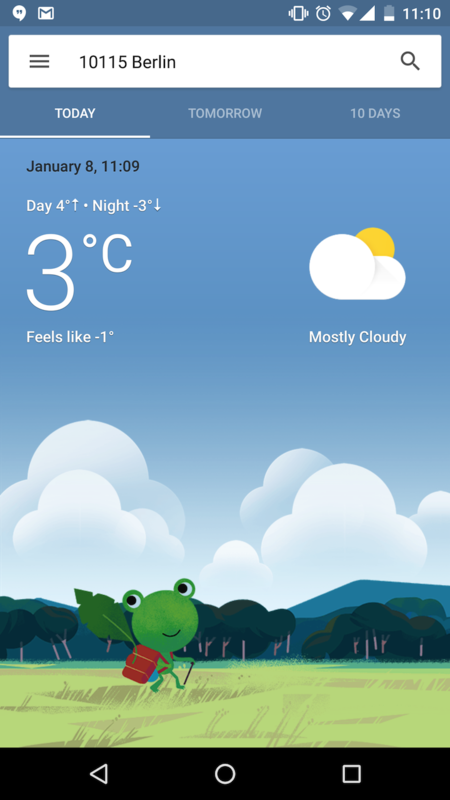 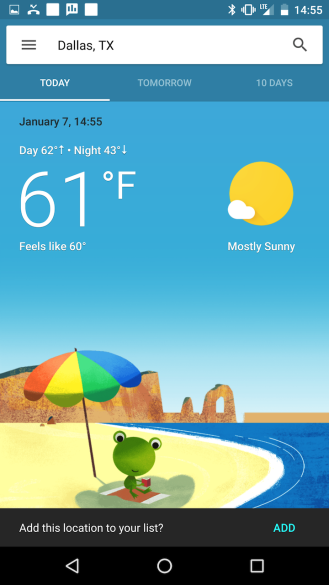 The Today view also carries some cute graphics depending on the current conditions and featuring a cartoonish frog-like creature that seems to enjoy hiking, the beach, and anything outdoors. 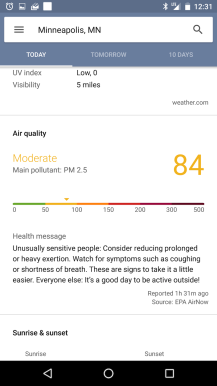 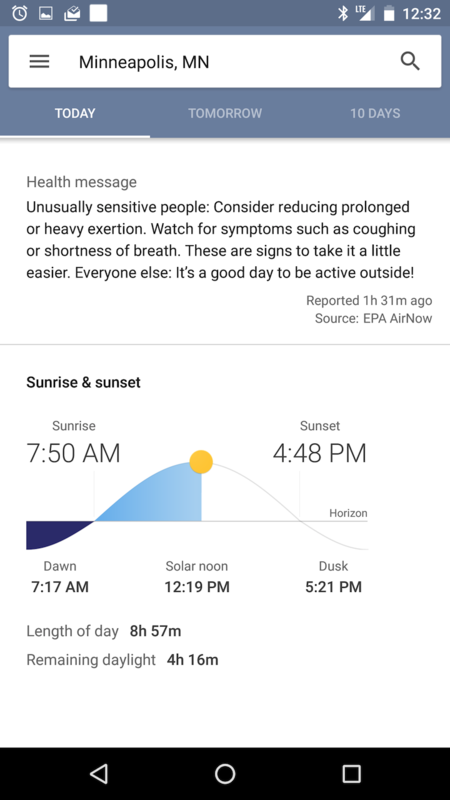 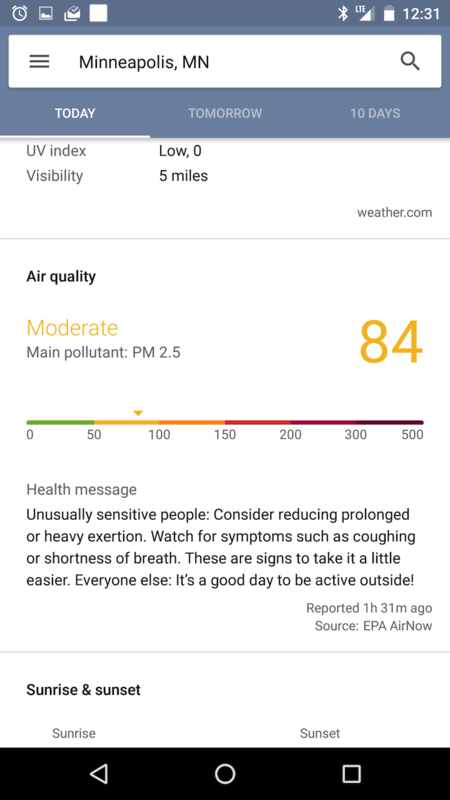 It also expands now beyond simple temperatures to show you more details about the day, including air quality, sunrise and sunset times, and various relevant health messages. 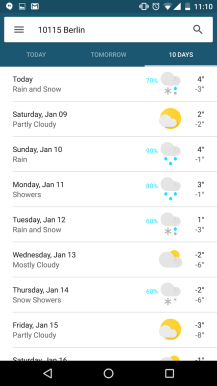 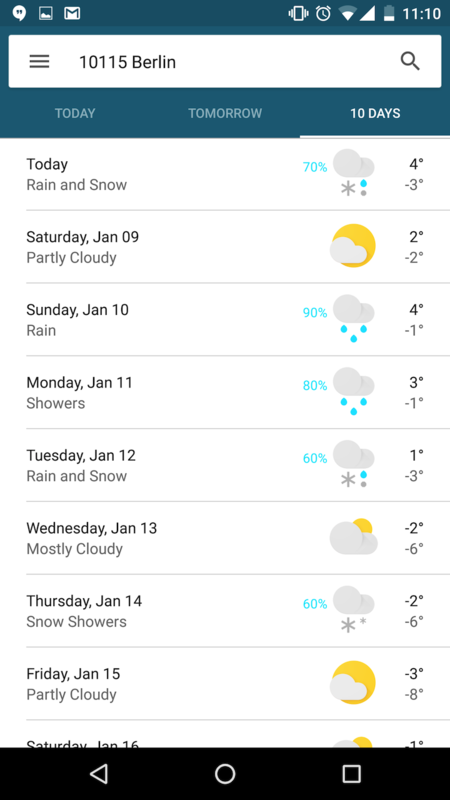 The new weather card doesn't seem to be widespread for now — only a few users have reported spotting it on their devices. 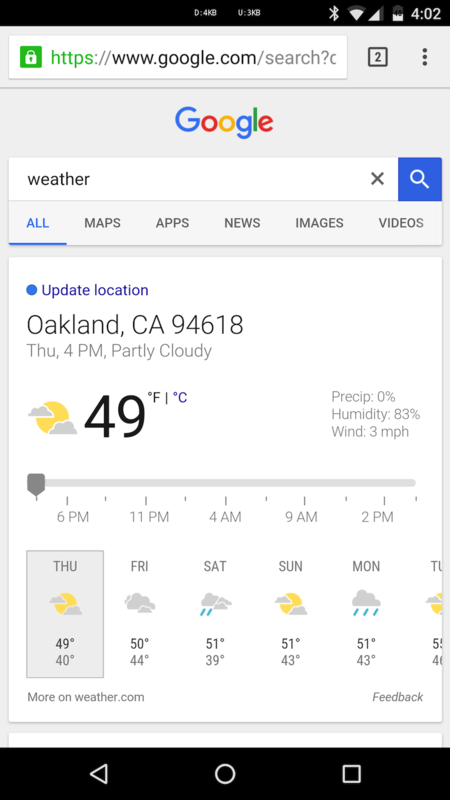 Like all Google A/B tests, we might see it adopted for everyone or it may be completely canned or slightly modified. 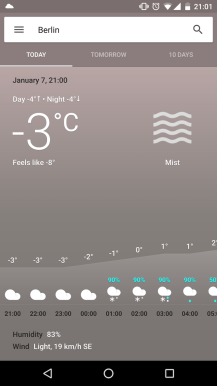 I for one am hoping that it makes it to release.